Rubber pavers are constructed from recycled tires and are used in schools, businesses and homes. Because these pavers are slip-resistant and shock-absorbent, they are very safe for your family. 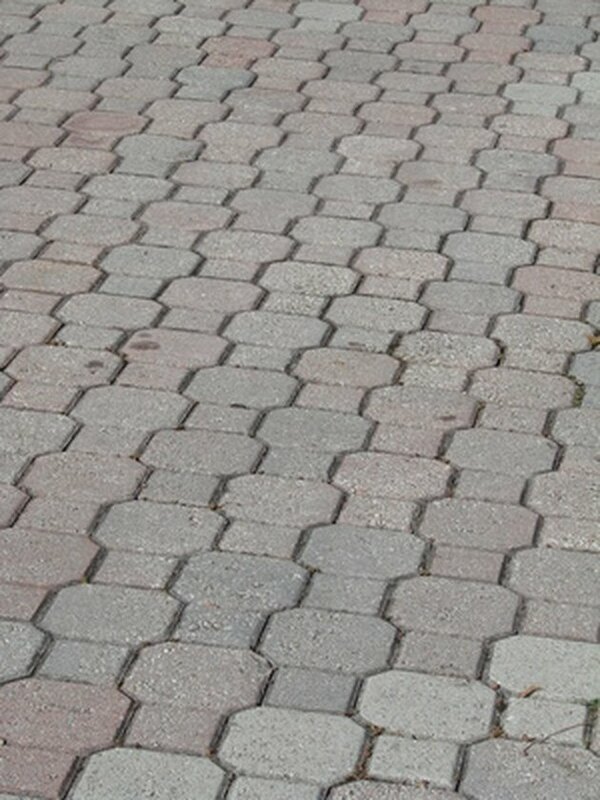 Rubber pavers are also wear-resistant. Depending on the size of your project, you can complete the rubber paver installation in just a day or two. Measure and mark the pathway in your yard using a tape measure and chalk spray. Dig up the grass or dirt in the area to the depth of the pavers plus four inches with your shovel. Use your level to align the area and tamp it down with your tamper. Edge the area with a border of 4-inch by 6-inch treated boards. Shovel a 3-inch layer of crushed stone into the area and tamp it down with the tamper. Shovel in a 1-inch layer of sand and tamp it down with your tamper. Spread filter cloth over the top of the sand and tamp it down. Attach the outer edges of the filter cloth to the treated wood border with your staple gun. Use a 1/8-inch trowel to spread adhesive onto the back of your first paver. Align the paver against the top corner of the treated board then press it down firmly onto the filter cloth to begin the first row. Tap the paver into place with your rubber mallet and continue the paver installation to the end of the first row. Use your utility knife to trim the last paver in the row if it does not fit. Use your utility knife to cut enough rubber pavers in half to stagger every other row. Apply adhesive to the half paver for the second row and tap it into place with your rubber mallet. Complete the paver installation for the second row. Continue the installation process to complete all the consecutive rows in the same staggered pattern until your pathway is complete. Squeeze beads of polyurethane caulking into any gaps between the pavers. Wipe off excess adhesive immediately from the rubber pavers with a few drops of mineral spirits on a cloth. Allow a few days for the rubber pavers to cure before washing them with water.